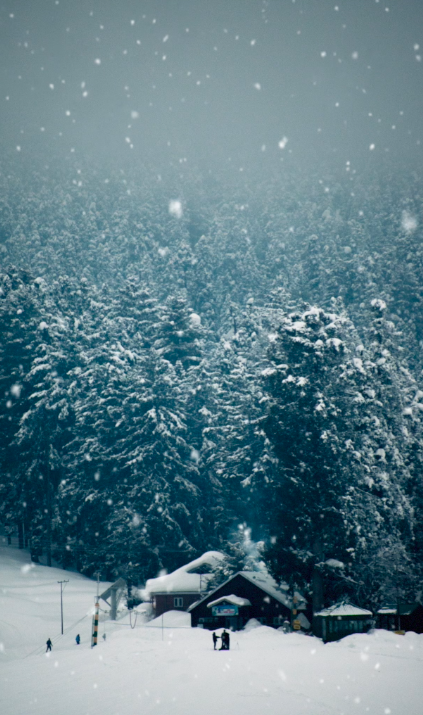 Gulmarg, the winter wonderland of India. A place which is considered (and is actually) the best place to ski in India. 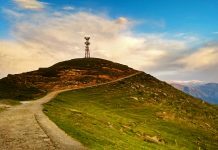 Winters in Gulmarg start in December and lasts till March and if you happen to visit this place during these months you will see nothing but only white. 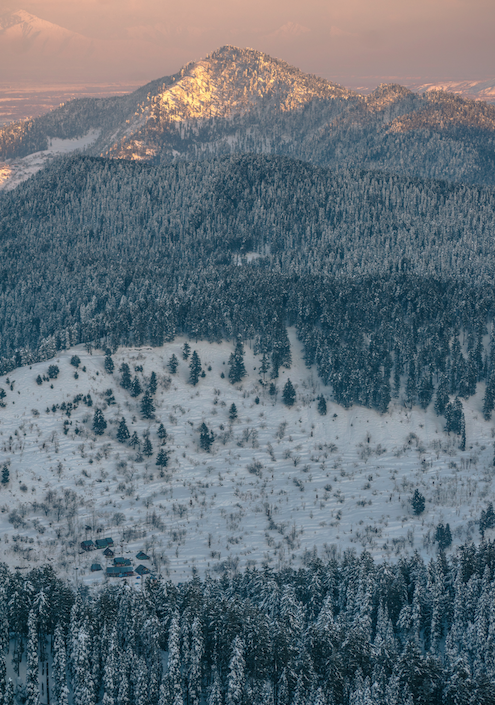 A land covered entirely in snow. It feels like a movie set of Game of Thrones. You can sledge here, do ATV rides and sit on the world’s highest Gandola. But the true adventure of this place is skiing as well as snowboarding. But, not many people know that you can get certified as a skier in this place as well. With this in my mind, I left for Gulmarg to do a 14 days basic skiing course in Gulmarg. Skiing is one of the most sought after winter activities and many foreigners visit this place especially for this. 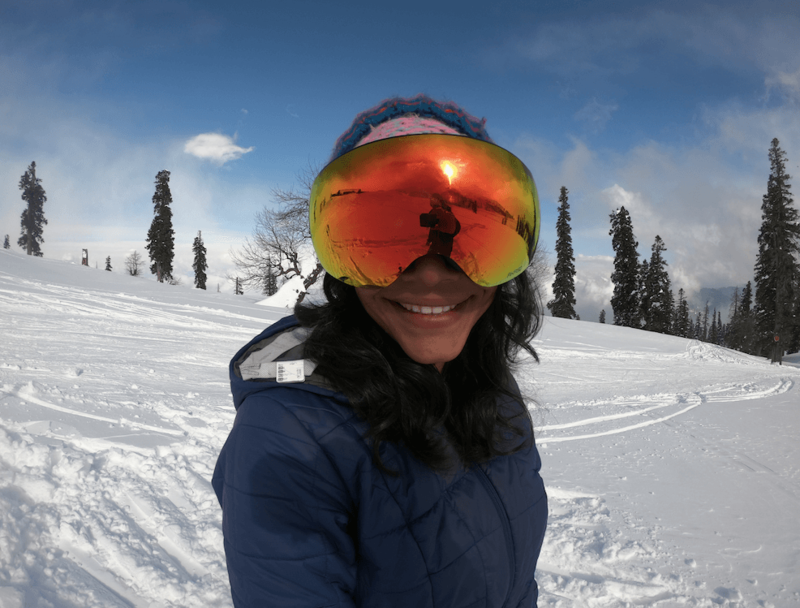 For them, Gulmarg is a fairyland which during the winter season is fully covered with fresh powdered snow providing adventurers with the perfect slope to snowboard and ski. Many tourists also opt for a day’s activity of fun skiing, however, if you want to go ahead and learn skiing professionally, Gulmarg has many institutes for this. There are two types of skiing – Nordic skiing and alpine skiing. These institutes will try to grow your skill set in alpine skiing which is split into three levels – basic, intermediate and advanced. Depending upon your skills and what you learn you have to clear each level to enter to the next stage. In these 14 days, one gets to learn how to balance on their skis, controlled fall, snowplough turns and if you are a quick learner you can also learn parallel turns. You will go on baby slopes to learn this and towards the end of it, you are examined. On the basis of your performance in the written and practical test, you are graded. 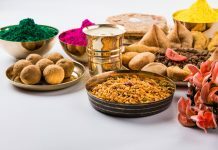 Bonus: You will also find army men and skiers practising Nordic skiing for the national competitions that happen every year either in Auli or in Gulmarg. It is such a thrilling experience to see so many men run in their green uniforms for hours. It excites you even further to master the skill and be better to thoroughly enjoy the sport. The very first ski resort was established here in 1927 and ever since Gulmarg has been an epitome of skiing in the country. There are two national skiing institutes where you can learn skiing – Jawahar Institute of Mountaineering & Winter Sports (JIMS) and Indian Institute of Skiing and Mountaineering (IISM). JIMS charges INR 10,000 for a 14 days’ course and on the other hand, IISM charges INR 14,000. The fee structure and timeline of the course remain the same for all the three levels (basic, intermediate and advanced). In this nominal amount, you receive several facilities like stay, professional training, food, etc. The amount is subsidized as both the institutes are owned by the government. Further, both these institutes have similar course structure at the end of which you have to give both written and practical examination to clear the test and get a grading. You can also hire private tutors in Gulmarg in which you can learn the basics of skiing in a matter of five days, however, the cost is at a higher end as you have to pay for stay, food and a guide separately. You can visit their respective websites to find all the details regarding the payment procedure and schedule of the courses. The 14 days are very challenging physically. You need to be well prepared both physically and mentally to lift up your skis and get trained for hours. For this, try to increase your stamina. Maybe start going on a run or do basic exercises to bear the weather. In high altitude, there are chances of suffering through AMS. Of course, these institutes give you a day or two to get used to the climate and ask you to drink lots of water. Hence be well prepared for any physical excursion that comes your way to be a better skier. Furthermore, the equipment is provided by the institute itself. They will give you the ski uniform, poles, shoes, helmets, etc. and other essentials can be easily purchased from the market in Gulmarg. I opted to learn skiing from the Jawahar Institute of Mountaineering & Winter Sports. My experience was amazing! Although do not think that skiing here is a leisure activity. Here army men are appointed to train you. Some of them are in fact experienced in Siachen Battle Ground. So you can imagine how particular they are for discipline. If you are a minute late be prepared for a good beating! And I am not even kidding! 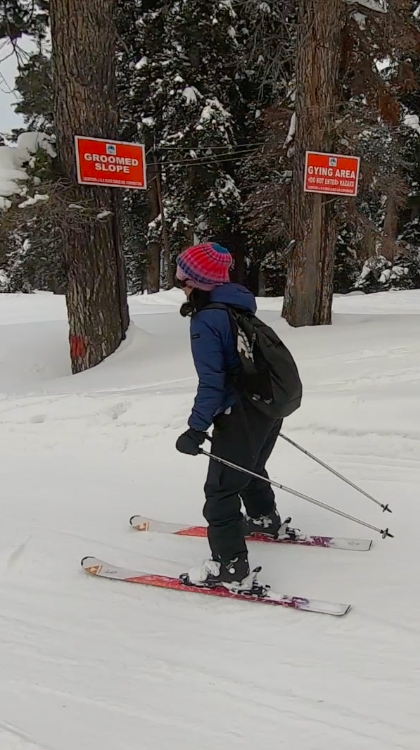 With ski poles, they run after you if you misbehave. You are not allowed to leave the hotel without their permission and can only go to the slopes with them during your training time! Yep! That strict. The food is basic but filling. The stay is basic but comfortable. Here you will have all the facilities and the best of training but do not join the institute thinking you will have the time of your life. No! They treat you like their children, they will scold you like teachers but you will take back with you amazing experiences and skills that no other institute might be able to give it to you. I do not even know how 14 days flew by. In fact, I got an award for being the second best student which I am really proud of. The days were difficult; our shins were in pain constantly due to heavy boots, we used to lift skis that were too heavy and walk on the crusty road to reach the slope, sometimes we used to get trained despite the heavy snowfall, but the experience was fruitful. I got strong not only physically but mentally and I let myself out the comfort zone. Learning just the basics of skiing, now I definitely have this thirst to take a step further and learn both intermediate and advanced courses as well. Skiing is something I always wanted to experience, not just as a guided activity but actually ski after getting properly trained and come down from the high slopes of Phase 2 in Gulmarg. It is like an addiction. Once you learn, you cannot stop. The initial days are always difficult. It took time to adjust to the cold and heavy shoes, but once we all were able to ace that feeling, it was much more fun than I initially imagined.